Lipidologists are physicians who diagnose, manage, and treat disorders involving lipids, including cholesterol and triglycerides. In the United States, nearly one-third of adults over 20 have high cholesterol, a risk factor for both heart attacks and stroke. It is no surprise then that a new breed of medical specialist has emerged to treat the legions of people faced with potentially life-threatening cardiovascular disease. Physicians who have passed a rigorous credentialing and examination process can be certified in clinical lipidology through the American Board of Clinical Lipidology (ABCL). As a relatively new specialty, clinical lipidology is not yet recognized by the American Board of Medical Specialties (ABMS). As of 2015, 625 lipidologists were certified in the United States, with an average of 100 new exams each year. With the cost of treating cardiovascular diseases expected to double by 2030, according to the American Heart Association, greater impetus may be placed on establishing practices solely dedicated to the diagnosis and treatment of dyslipidemia (lipid abnormalities). The core function of a lipidologist to treat or prevent dyslipidemia, a condition characterized by high levels of "bad" low-density lipoprotein (LDL) cholesterol and triglycerides as well as low levels of "good" high-density lipoprotein (HDL) cholesterol. 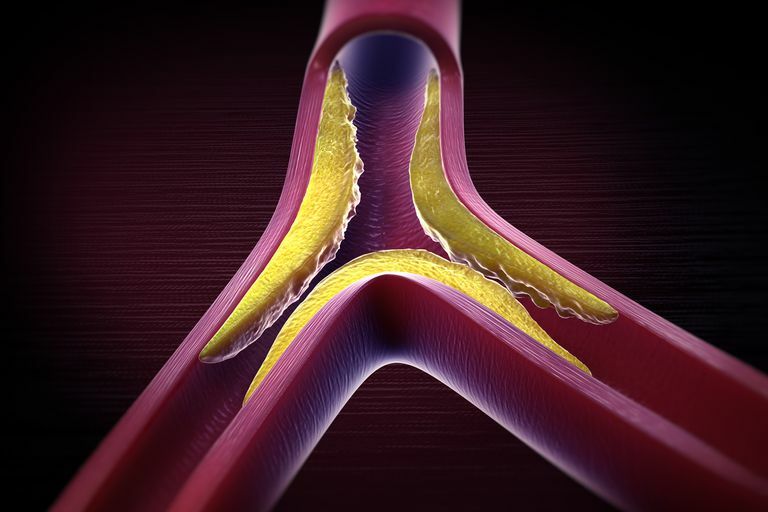 Studies have long shown a direct association between dyslipidemia and the development of atherosclerosis ("hardening of the arteries"), coronary artery disease, peripheral artery disease, heart attack, and stroke. But the cardiovascular system is not the sole concern of a lipidologist. Dyslipidemia can affect other organ systems, contributing to the development and/or severity of chronic kidney disease, diabetes, and liver cirrhosis (or vice versa). Since most people will be referred to a lipidologist after dyslipidemia has been diagnosed, much the specialist's work will be focused on identifying the underlying causes of the disorder. Many will be hard-to-treat cases that have been resistant to standard lipid-lowering therapies. Primary dyslipidemia is caused by genetic mutations that cause your body to produce too much LDL or triglycerides or not enough HDL. Examples include familial hypercholesterolemia (high total cholesterol), familial hypertriglyceridemia (high triglycerides), or hypoalphalipoproteinemia (low HDL). Secondary dyslipidemia is caused by lifestyle factors (such as obesity, alcoholism, or a diet high in saturated fat) or co-occurring conditions (such as diabetes, hypothyroidism, metabolic syndrome, chronic kidney disease, or cirrhosis). In some cases, primary dyslipidemia may be compounded by secondary dyslipidemia. Once the condition is diagnosed, the treatment plan would be centered around lifestyle changes (including exercise, weight loss, and reduced saturated fats) and various lipid-lowering medications, if needed. The management of cholesterol has long been considered a facet of primary care. But, as more and more people find themselves unable to manage their cholesterol despite best efforts, lipidologists have become increasingly important in providing individualized care for this hard-to-treat population. This includes people who have become resistant to statin drugs or are unable to tolerate the side effects. From a procedural viewpoint, the lipidologist will likely recommend advanced cholesterol testing. Standard cholesterol tests only identify total cholesterol, HDL, LDL, and triglycerides. Advanced cholesterol tests can detect multiple cholesterol subclasses and provide 13 qualitative measurements of cardiovascular disease risk. Among the measurements (values) are the size and quantities of cholesterol and triglycerides as well as the identification of an LDL subtype called apolipoprotein B100 linked to familial hypercholesterolemia. These tests may help identify the underlying mechanisms of dyslipidemia and enable a more tailored response to treatment. Because there are no specific treatments assigned to advanced testing values, both the American Heart Association (AHA) and American College of Cardiology (ACC) back standard cholesterol tests over advanced tests in most people. On top of blood tests, the lipidologist may also recommend a magnetic resonance imaging (MRI) scan to evaluate the amount of fat in the muscle tissue. Research suggests that high intramuscular fat is independently associated with high total cholesterol as well as impaired glucose tolerance (a predictor of type 2 diabetes). Some people, including those with severe familial cholesterolemia, are unable to sufficiently lower their LDL with statin drugs. Others may be unable to tolerate the side effects. Others still are being treated for primary dyslipidemia even though the cause may be genetic. PCSK9 inhibitors are a class of drug that blocks proteins that prevent the clearance of LDL in the liver. Praluent (alirocumab) and Repatha (evolocumab) are two PCSK9 inhibitors approved by the U.S. Food and Drug Administration. LDL apheresis is a nonsurgical procedure similar to hemodialysis that removes LDL from a person's blood. Juxtapid (lomitapide) is a drug specifically approved for the treatment of familial hypercholesterolemia. Mipomersen sodium is an investigational drug that inhibits the formation of apoprotein B100. In rare cases, surgical procedures such as partial ileal bypass surgery, liver transplantation, or liver portocaval shunting (drains) may be used to treat conditions associated with dyslipidemia. Beyond medications, lipidologists would help oversee dietary and exercise interventions, particularly for people at high risk of cardiovascular disease. These intensive therapies would generally involve monitored diets with 7 to 10 percent daily dietary fat. Moderate aerobic exercise, stress management training, smoking cessation, and psychosocial support may also be a part of the program. There are two types of certification programs in clinical lipidology. One is offered through the ABCL and is intended for physicians only. The other is available to both physicians allied health professionals through the Accreditation Council for Clinical Lipidology (ACCL). Only those who meet ABCL eligibility and pass the board exam can call themselves lipidologists. Those who pass the ACCL exam are called "clinical lipid specialists" and can add the letters CLS after their names. Additional points can be earned by completing relevant continuing medical education (CME) programs (2 points per credit hour). The ABCL can direct you the appropriate training programs offered through the National Lipid Association (NLA). Upon meeting the eligibility criteria, lipidologist candidates can take a four-hour exam covering vascular physiology, the diagnosis and treatment of dyslipidemia, and the identification of cardiovascular disease risk, among other things. Physicians who pass the test are certified by ABCL for a period of 10 years but must accumulate 250 CME points to be recertified. There are no letters to designate the ABCL accreditation. You may instead include "Diplomate, American Board of Clinical Lipidology (ABCL)" on your curriculum vitae. People are usually referred to a lipidologist when LDL-lowering drugs fail. According to guidance from the AHA and ACC, a lipidologist may be sought if treatment under a primary care doctor fails to improve cholesterol levels after 12 weeks. If you are scheduled to meet with a lipidologist, ask your primary care doctor to forward all relevant medical records in advance of your appointment. You should also prepare by compiling a list of medications you take (both pharmaceutical and non-pharmaceutical) as well as any medical conditions for which you receive or have received treatment. The lipidologist will also want to know if you have a family history of dyslipidemia, cardiovascular disease, diabetes, kidney disease, or thyroid disease. When asked about drinking or smoking, be honest and don't say that you drink or smoke less than you actually do. The same applies to diet, exercise, or drug adherence. Be sure that the results are shared with your primary care physician and other relevant specialists. Before your appointment, check with your insurance company to confirm that the visit and subsequent treatments and tests are covered. It is rare that you visit a lipologist only once. If the office does not accept your insurance, ask if they offer a scheduled payment plan or a reduced upfront cash payment. To find a certified lipidologist near you (or to check credentials), call the American Board of Clinical Lipidologists at (904) 674-0752. Not everyone with high cholesterol needs a lipidologist. In fact, most people with dyslipidemia can manage perfectly well under the care of a primary care physician as long as they are not at high risk of cardiovascular disease. In such cases, a cardiologist may be the most appropriate specialist to see (some of whom may have ABCL certification). Lipidologists may be most useful for people who fail to respond to standard medications and have taken all other steps to control their condition. A lipidologist is not there to prescribe "stronger" drugs that allow you to sidestep diet or exercise. If anything, a lipidologist would take greater strides to address lifestyle choices that are putting your health at risk. Addison, O.; Marcus, R.; LaStayo, P. et al. Intermuscular Fat: A Review of the Consequences and Causes. Int J Endocrinol. 2014;2014;309570. DOI: 10.1155/2014/309570. American Heart Association. (2019) Heart Disease and Stroke Statistics-2019 At-a-Glance. Dallas, Texas: American Heart Association. American Heart Association/American College of Cardiology. (2018) 2018 Guideline on the Management of Blood Cholesterol. Washington, D.C.: American College of Cardiology.